Prompted by weak sales, Nintendo has announced plans to drastically reduce the price of its latest handheld console. 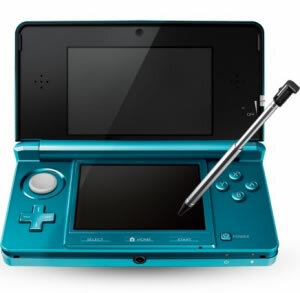 The Nintendo 3DS launched less than six months ago for $250 with a goal of selling 16 million units by March 31, 2012 (the end of its fiscal year), but things have kicked off to a slow start with only 830,000 US gamers purchasing the console. To meet its original sales target, the company has slashed 3DS prices by $80 to $170. The new price is already offered at Amazon, and although you can purchase a 3DS at that rate, it won't ship until August 12 when the change becomes official. "For anyone who was on the fence about buying a Nintendo 3DS, this is a huge motivation to buy now," said Nintendo of America President Reggie Fils-Aime. "We are giving shoppers every incentive to pick up a Nintendo 3DS, from an amazing new price to a rapid-fire succession of great games." Starting September 1, Ambassadors will be able to download 10 NES Virtual Console games at no charge before they are available to the general public in the Nintendo eShop. The titles will include Super Mario Bros., Donkey Kong Jr., Balloon Fight, Ice Climber and The Legend of Zelda. When the paid copies are added to the eShop later in the year, Ambassadors will be able to download the updated versions for free. By the end of 2011, Nintendo will provide Ambassadors with 10 Game Boy Advance Virtual Console games, including Yoshi's Island: Super Mario Advance 3, Mario Kart: Super Circuit, Metroid Fusion, WarioWare, Inc.: Mega Microgame$ and Mario vs. Donkey Kong. These titles will be available exclusively to Ambassadors and Nintendo has no plans to release them to the common 3DS users in the near future. Nintendo reported a 25.5 billion yen ($328 million) net loss alongside a 37.7 billion yen ($485 million) operating loss in the recently ended quarter. That prompted the company to lower its annual profit forecast 82% from 110 billion yen to 20 billion ($257 million) while projected annual operating profit has been cut from 175 billion yen ($2.25 billion) to 35 billion ($450 million). Nintendo has also slashed its expected fiscal year 2012 sales for the Wii and DS from 13 million to 12 million and 11 million to 9 million.